Dimensions: 65x210(150+60)x45h cm, weight: 11kg (with sunshade) - 10kg (without sunshade). Available in 8 color variants, with open-work PVC fabric (see features below, in the "Download" section). Available with anodized or white lacquered frame, with or without sunshade. 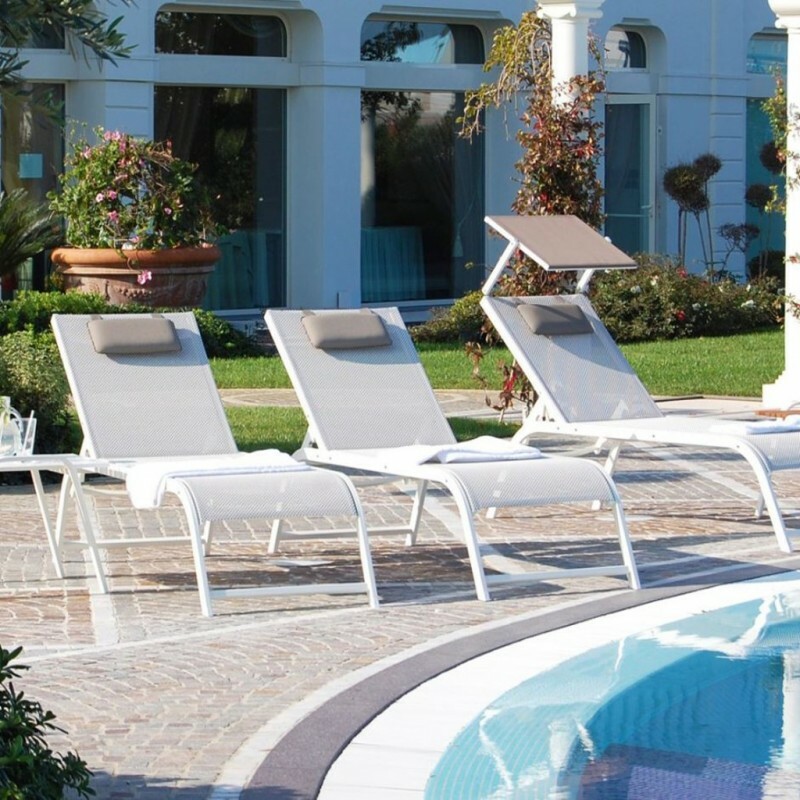 Ulisse Design is a modern evolution of our timeless Ulisse sun bed, a variant for the third millennium, designed to satisfy the most demanding customer in terms of design. In addition to its unique and fascinating appearance, the highlights of Ulisse Design are: great comfort and robustness, slightly increased dimensions compared to Ulisse and adjustable backrest in 4 positions. Made with aluminum frame, Ulisse Design is available with anodized finish or also in the white lacquered version. With "textilene" fabric in open-work PVC. Extremely durable and comfortable fabric (see features in the "Download" section). We recall that Ulisse Design can be accompanied with the practical Perseo and Urano low tables. Articles visible below in the related products. Delivery time 15 working days. (each item is made to measure).